We help our clients address key business and technology risks within both Oracle EBS/Oracle ERP Cloud and its supporting operations through the below service areas. We ensure that only approved and authorised individuals can get into your Oracle system. We restrict the privileges in Oracle to the minimum required and ensure segregation of duties. We help you use Oracle’s automated controls to enforce your business process policies. 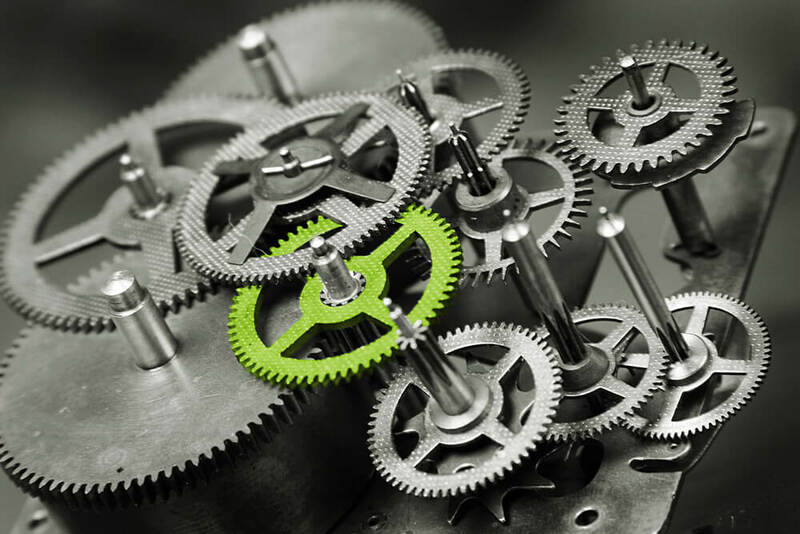 We identify the oddities that indicate potential fraud, error or rework in processes. Our SRS Exception Analytics Suite services are unique. Based on our experience of working with more than 200 Oracle ERP organisations, we have developed a suite of services that allow us to quickly assess application security, access controls, business process controls and identify key business process exceptions. Each finding includes the business and technical risks that it raises, along with realistic recommendations for addressing these. 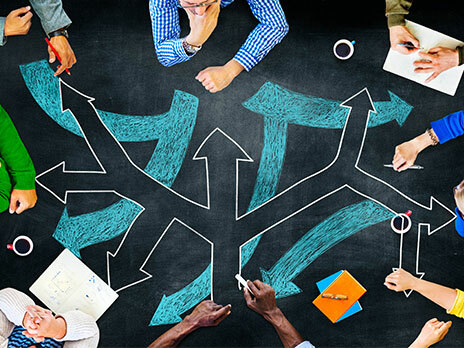 Given that our experienced consultants have acted as both implementers and auditors for Oracle ERP controls, we will also be able to provide guidance on the ease of addressing these challenges and a suggested prioritisation for the activities. 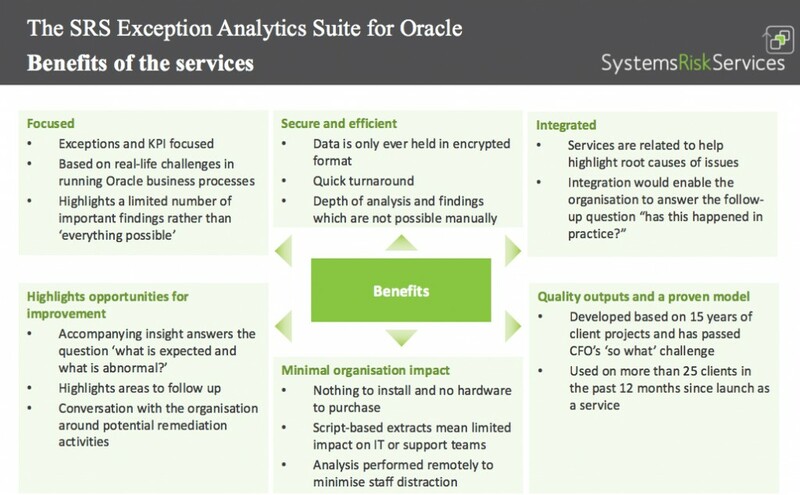 The benefits of our SRS Exception Analytics Suite of services are huge.